U.S. National Institutes of Health National Toxicology Program (NTP) concludes that there is “clear evidence” that male rats developed cancerous heart tumors from exposure to cell phone radio frequency radiation according to final reports released today. 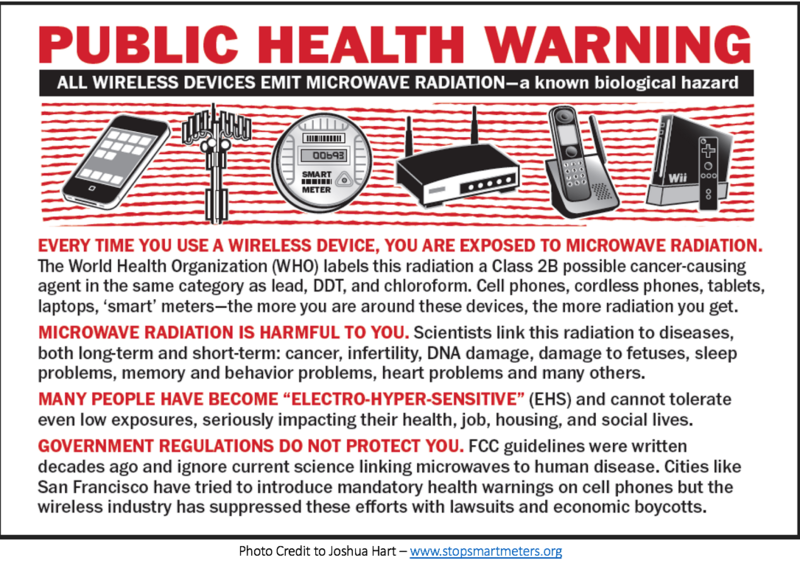 In addition, they conclude the increased tumors in the brain and adrenal gland of exposed male rats were “some evidence” of cancer from the cell phone radiation exposure. According to NIH, the final reports on rats and mice represent “the consensus of NTP” and a panel of external scientific experts who reviewed the study data in March and voted to strengthen the conclusion that cell phone radiation caused health effects. Scientists are now calling for federal action – a quantitative risk assessment and protective policies to reduce wireless exposure. The NIH/NTP Website has now posted final reports from the rat and mouse studies, a press release and new fact sheet. explains Anthony Miller MD, University of Toronto Dalla Lana School of Public Health Professor Emeritus, author of 600 scientific publications medical advisor to Environmental Health Trust (EHT), who has served as an advisor to the World Health Organization and co-authored a review paper of the scientific evidence in the journal Environmental Research presenting these conclusions. The final reports concurred with the March peer review panel that the malignant schwannoma tumors found in the heart of male rats be scientifically categorized as “clear evidence of carcinogenicity” and that the malignant gliomas found in the brain of male rats be categorized as “some evidence of carcinogenicity.” In addition, the increased tumors of the adrenal medulla in male rats exposed to the GSM type of cell phone radiation were categorized as “some evidence of carcinogenicity,” adding a new type of tumor thought to be caused by the exposure. Thus, NIH accepted all of the expert peer reviewer recommendations to strengthen the conclusions regarding seven different health effects from the exposure. The report also documents statistically significant increases in an unusual pattern of cardiomyopathy, or damage to heart tissue, in exposed male and female rats.